India spinner Ravichandran Ashwin will rejoin Worcestershire for their final two County Championship matches. The 31-year-old, who has played 58 Tests, will return to New Road for Division One games against Essex and Yorkshire in September. He took 20 wickets in four games to help the Pears win promotion to the top flight last season. 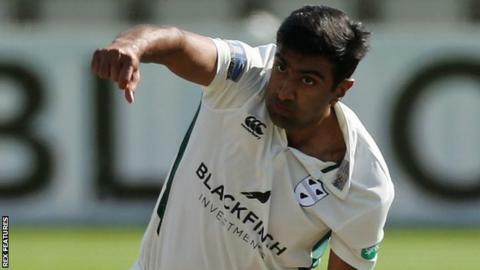 "Ashwin is world class and he loved it at Worcestershire" head coach Kevin Sharp told the club website. "Conversations have been ongoing about him coming back and I'm sure he will be a great fillip for us." Ashwin is in the India squad for the forthcoming five-Test series against England, which starts at Edgbaston on 1 August. and is due to end on 11 September.